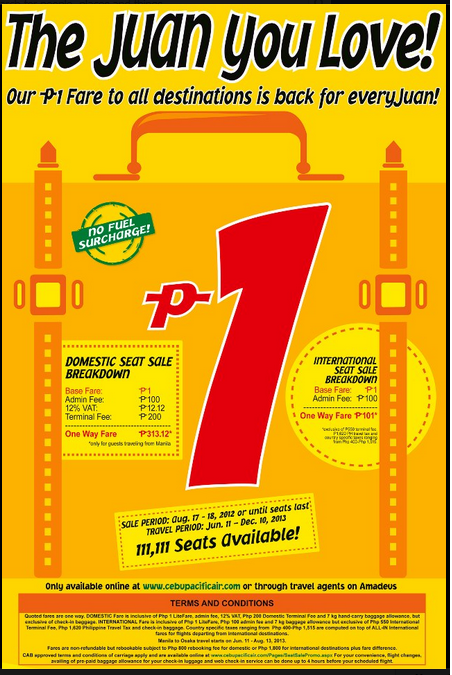 Home Cebu Pacific Seat Sale The Juan You Love! It is back! Piso fare for only 111,111 seats! Available for both Domestic and International Seats. Promo starts June 11 until December 10, 2013!